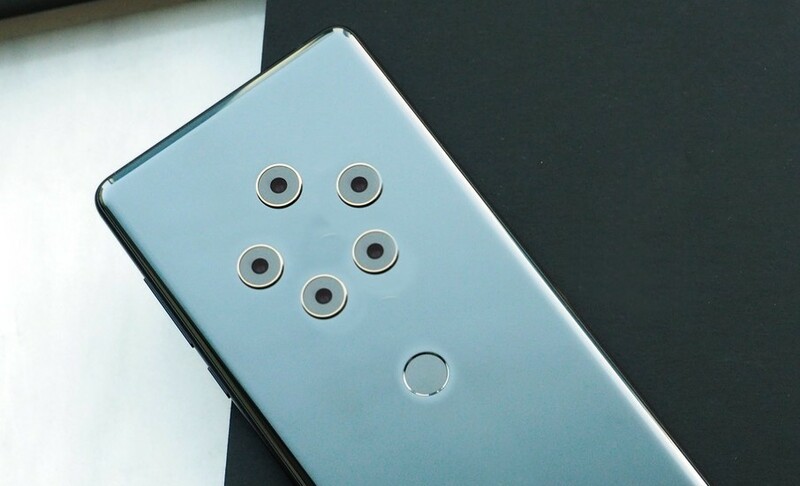 The last time we updated you on the status of the Nokia's upcoming Android Smartphone with Penta-Lens Camera, we told you that it was in the works and will be unveiled as early as late 2018. Well, it looks like today we have our first design look of Nokia's Flagship With Penta-Lens Camera. As you can see in the below sketch, we have a round fingerprint reader located beneath the circular camera module. Previous leak says that the device will feature a bezel-free design and Snapdragon 845 CPU. The Penta-Lens Camera system features a circular form factor with seven holes, five for camera lenses and two for LED flash. If testing goes right, HMD may think of mass production in April-May, and apparently the device will be unveiled as early as late 2018. HMD is also planning to reveal new Nokia 8 2018 with near edge-to-edge display at MWC 2018 in Barcelona, Spain.The Nokia 8 2018 is also expected to feature Snapdragon 845 SoC, 6GB RAM, and dual rear cameras.